This week's Topic: Finding Your Passion in Aviation. We are not aware of any events taking place this weekend. China will host the inaugural 2017 World Formation Aerobatic Challenge to be held from the 1st - 3rd May 2017 in Zhengzhou. Amongst the teams that have been invited is the Raptors RV formation team of South Africa. The event is a Fédération Aéronautique Internationale (FAI) competition, sanctioned through their aerobatic commission CIVA, who will provide Judges and other key officials. By way of invitation, teams from across the globe will be judged in 'Classic' and 'Signature' disciplines, in order to gain the title of Formation Aerobatic Champions 2017. Today the Sukhoi Company handed over the third batch of Su-34 frontline bombers to the Ministry of Defense of the Russian Federation according to the 2016 State Defense Order. Those bombers were received by the military representatives on October 21 in the framework of the Joint Acceptance Day of the military production. The aircraft took off from the V.P.Chkalov Novosibirsk Aircraft Plant's airfield and headed to the place of their deployment. At the present time the aircraft plant operates with maximum efficiency. 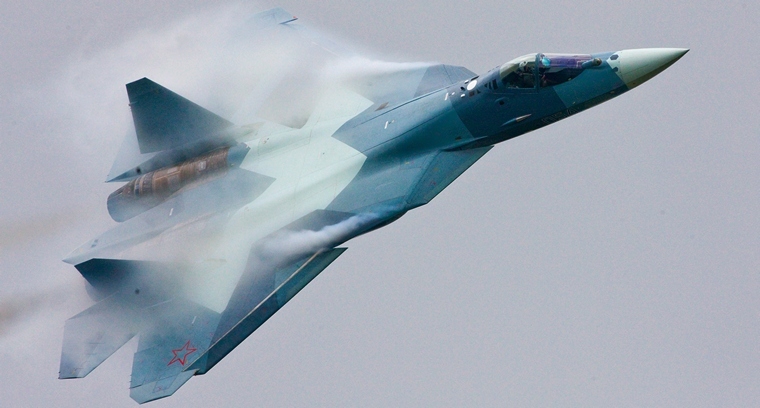 The State Contract with the Ministry of Defence of the Russian Federation for supplies of the Su-34s to the Russian Air and Space Forces up to the year 2020 guarantees a stable work load of the plant for the coming years and identifies its long-term development prospects. Currently, Su-34s operate successfully in the military and demonstrate high performance. The Commemorative Air Force (CAF) Red Tail Squadron, America's tribute to the Tuskegee Airmen, today announced the launch of their new website at redtail.org to better meet the needs of those looking for historically accurate information about the Tuskegee Airmen. The site has been redesigned and filled with even more content to ensure visitors can easily access fully vetted, in-depth and inspirational material. 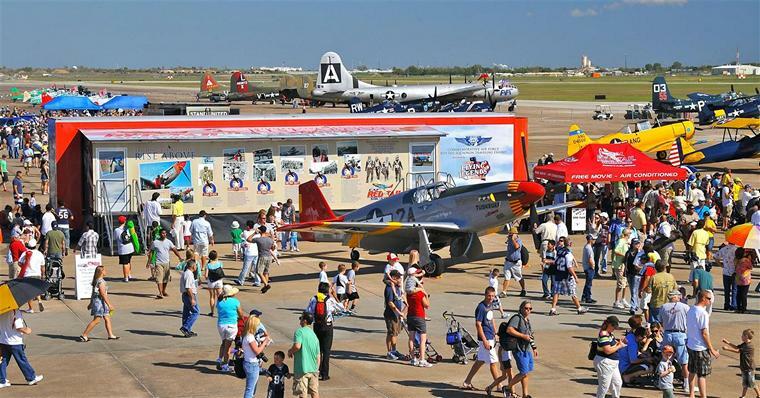 The website also features the Squadron's outreach program, RISE ABOVE: Red Tail, which includes the P-51C Mustang Tuskegee Airmen and RISE ABOVE Traveling Exhibit mobile movie theatre that tour the country to educate people about the history and legacy of the Tuskegee Airmen. People that visit redtail.org will also find out how the Tuskegee Airmen inspire people of all ages to rise above their own obstacles and achieve success. Students, educators, journalists, and anyone looking to learn about these remarkable Americans, is invited to visit the site for their personal or educational efforts. Additional resources will be added over the next several months that will further the site's offerings. 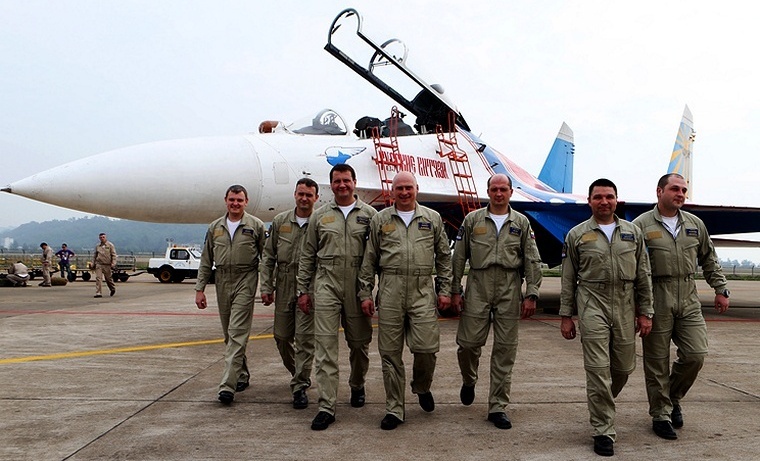 The Russian Knights aerobatic team of Russia's Aerospace Force will take part in the Iran Air Show 2016 for the first time, the press office of the Defence Ministry of Russia said on Tuesday. "The flight personnel have currently started their flight to the Island of Kish where the air show will be held. During the re-deployment, two intermediate landings are planned," the Russian Defence Ministry said. General Atomics Aeronautical Systems, Inc. (GA-ASI), a leading manufacturer of Remotely Piloted Aircraft (RPA) systems, radars, and electro-optic and related mission systems solutions, announced the successful first flight of its new Avenger® Extended Range (ER) aircraft, an extended range version of its multi-mission jet-powered Predator® C Avenger which has accumulated over 13,000 flight hours to date. The flight occurred on October 27th at the company's Gray Butte Flight Operations Facility in Palmdale, Calif.
"The first flight of Avenger ER is a significant achievement in the evolution of Predator C's proven performance and multi-mission capability," said Linden Blue, CEO, GA-ASI. "The increased endurance and high payload capacity will deliver tremendous capability to our customers, who need persistent situational awareness and strike mission affordability." With an increased wingspan of 76 feet and 2,200 pounds of additional fuel, Avenger ER extends the legacy Avenger's already impressive endurance from 15 hours to 20 hours. The RPA provides an optimal balance of long loiter Intelligence, Surveillance, and Reconnaissance (ISR) and precision-strike capability, supporting a wide array of sensors and weapons payloads to perform ISR and ground support missions. Like the legacy Avenger, Avenger ER features avionics based upon the combat-proven Predator B/MQ-9 Reaper®, has a 44-foot long fuselage, 3,000-pound payload bay, and is capable of flying at over 400 KTAS. Avenger ER, along with its predecessor, is designed to carry payloads such as the all-weather GA-ASI Lynx® Multi-mode Radar, the MS-177 Electro-optical/Infrared (EO/IR) sensor, and the 2,000-pound Joint Direct Attack Munition (JDAM). GA-ASI developed Avenger on Internal Research and Development (IRAD) funds with the intent of making a RPA that has a quick-response, armed reconnaissance capability. First flown in April 2009, the aircraft's fuselage was extended by four feet in 2012 to accommodate larger payloads and fuel. Avenger received a FAA-issued Experimental Certificate (EC) in 2016, enabling it to operate in the U.S. National Airspace System (NAS). Urban Aeronautics is pleased to announce that on November 3, 2016 its Cormorant Unmanned Air vehicle (UAV) prototype has performed its first autonomous pattern flight including low flight over uneven terrain. While pattern flights are routine for conventional fixed wing aircraft and rotorcraft, it is a significant milestone in the evolution of an entirely new family of Urban's proprietary technology aircraft known as Fancraft™. Unlike other (manned and unmanned) aircraft, the Cormorant's autopilot relies primarily on inertial and ground reference, which is more complex than flying through open, unobstructed airspace. This industry-first event begins to demonstrate the Cormorant's capability to operate close to the ground and inside obstructed terrain, in environments previously inaccessible to existing aircraft (having similar payload). Building on the success of this first pattern flight, upcoming flights will test ongoing development to improve the smoothness of transitions through the various flight modes (take off, climb, acceleration, cruise, deceleration, descent, turns, hover and touchdown), in addition to increasing speed and manoeuvrability. Russian Helicopters, part of State Corporation Rostec, will feature a range of medium-sized and light multirole helicopters at the 8th International Airshow, November 16-19 on Kish Island, Iran. Visitors can view a Mi-171A2, an Ansat and a Ka-226T in the passenger mode at the Russian Helicopters' booth. Russian Helicopters will show a wide range of multirole civilian rotorcraft with goals to increase demand in Iran and from other customers in the Middle East. "Russian helicopters have proved to be irreplaceable in carrying out a wide range of tasks, trouble-free, in high altitudes, in a wide temperature range, and through ability to successfully land on unprepared sites. I hope that Iran, which already operates Russian-made helicopters, will expand its fleet and increase supplies, "- said Russian Helicopters Deputy CEO for Business Development Alexander Shcherbinin. The Ansat, a light twin-engine multirole helicopter designed for 7-9 people, has just received its first overseas customer. In December 2014, an Ansat with hydromechanical control system (GMSU) was approved for operation, which allowed for it to carry passengers. In May 2015, a medevac Ansat was approved for flying as well. In December 2015, a VIP version of the helicopter was certified. In June 2016, Ansat's take-off weight was raised to 3,600 kg. The medium multirole Mi-171A2 will also be shown at the Russian Helicopters' booth. 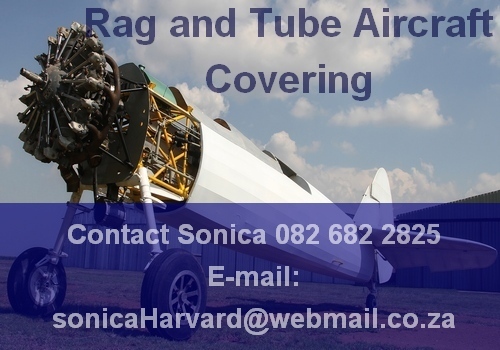 It is designed by utilizing best modern aviation technology and meets all core safety requirements and environmental standards. Its modern avionics allows to operate it around the clock and in adverse weather conditions, and it can fly over water. The Ka-226T is another new model that Russian Helicopters are taking to Iran. The Ka-226T is a light helicopter based on the coaxial rotor system and is ideal for the Middle East. The helicopter can fly in hot desert terrain with frequent sandstorms, as through gusty winds. It is designed for complex tasks in dense urban areas as well. Ka-226T's advantages are the ability to land on small pads, high maneuverability and rapid rate of climb. Canada, Toronto: A Porter Airlines plane in Canada with 54 passengers on board took a risky manoeuvre, plunging at the altitude of just 3,000 meters in a bid to avoid a midair collision with what seemed to be a civilian drone east of Toronto. Two flight attendants who carried on with their duties during the manoeuvre to make sure the cabin is ready for landing were hurt and taken to the hospital, but have since been released. UK, Liverpool: A Airbus A319 jet taking off at Liverpool airport narrowly avoided a collision with a drone that came within 5 metres (16ft) of the aircraft's wingtip. The pilot spotted the large, black and yellow drone immediately after the Airbus A319 took off, but it was so close there was nothing he could do to avoid it, he told a UK Airprox Board review, which found that "chance had played a major part" in avoiding a collision. It was one of four near misses in a month between drones and commercial passenger airlines recorded by the UK Airprox Board. Syria: A carrier-based MiG-29K suffered an air accident due to a malfunction on landing approach several kilometres away from the Admiral Kuznetsov aircraft-carrying cruiser. The pilot ejected safely. USA, Nevada: A Piper PA-31T Cheyenne II air-ambulance taking a heart-disease patient to a Utah hospital crashed in a parking lot in northern Nevada, killing all four people aboard and sending up explosions and flames. The twin-engine PA-31T apparently experienced mechanical problems as it was climbing after taking off on a flight for Salt Lake City, then lost altitude and crashed. In the mid-1950s Boeing announced plans to develop a passenger liner for short to medium range flights from shorter runways. The new aircraft, originally called the 707-120, had a shorter fuselage shorter by 8 feet 4 inches (2.54 m) and less range than the 707. The model entered service with launch customer United Airlines in July 1960. The new model was designed to a lower maximum take-off weight with a modified wing with slightly greater sweep and Krueger flaps outboard of the outboard engines. The modifications led to slower take-off and landing speeds enabling the 720 to operate from shorter runways. Because of the similarities with the 707 there was need for a prototype to be built. The first 720 took its maiden flight on November 23, 1959 and the Type Certificate for the 720 was issued on June 30, 1960. Although only 154 were built, the Boeing 720/720B was still profitable due to the low research and development costs of it being a slightly modified version of the 707-120. It was later replaced by the Boeing 727.